We can customize several Twitter strategies for your brand in order to gain highly targeted followers. “What are HASHTAGS? And How Do They Work?” Click here to find out. Tufel Media Digital Marketing customizes several Twitter strategies for your company in order to gain highly targeted followers who engage and become loyal to your brand. With our expertise, we utilize tools to pick up on keyword hashtags used in your industry on Twitter, and eventually populate those hashtags with your content. Remember, it's not only about broadcasting your products and services all the time. It is about conversing and connecting. We don't believe in being intrusive and spamming hashtags. The majority of Twitter users find it highly annoying. You can have peace of mind that we have a very strong belief in brand purity and integrity. Twitter Marketing is about sharing great information on your product or service that others will want to retweet and share. Our creative team will also come up with a hashtag exclusive to your brand message, and as your Twitter presence grows, your followers will want to share and engage one another using your brand’s exclusive hashtag. Before you know it, your followers will become your greatest, most loyal fans. Not only can we create your online branding, but we also monitor your online reputation and engage accordingly. Our tools allow us to monitor what your customers are saying about your brand on their social networks which includes Twitter. The secret to Twitter is to be aware of what others are saying. The key is to LISTEN. Are you listening? Your competitors are. And so are we. We take the time to listen on your behalf. How? 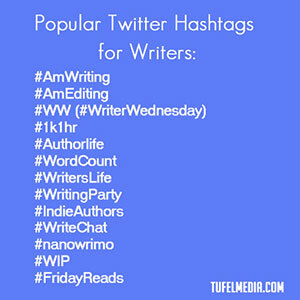 By creating lists with hashtags that are used by consumers in your industry. We do searches by keywords and listen to the conversations that consumers are having about your brand.